The unique concept of Craft House was conceived to bring both quality and fine craftsmanship of India directly to the consumers. Craft House has grown from a retail shop started in year 2000 to its flagship lifestyle store in the year 2003, spread over an area of 4000 sq feet. Located at The Metropolitan Hotel & Spa, New Delhi. Craft House brand showcases the premium arts, crafts and produce of India to the world. Distinctively Indian and truly exceptional, Craft House pushes the limit of exquisite detailing. We take pride in genuine and authentic selection of merchandise with reliable quality standards. Our range also includes organic and environment friendly. A traditional Bazaar is the focal hub of the culture of the city and reflects the lifestyle of its residents. The emphasis of Delhi Bazaar Craft House is to expose and introduce the international travel consumer and re-acquaint the Indian travel consumer to experience a genuine Bazaar ambience in an evolved modern setting. Covering a area of 4000 sq feet. Our merchandise offering focuses on several core ranges of mystical and exotic India. With 'Delhi Bazzar' as its central theme, the store showcases the best merchandise India has to offer to world travelers transiting through the T3 terminal of IGIA, New Delhi. The Delhi Bazaar Craft House, the nouvelle concept by Craft House, is tagged as the biggest Indian profile store at the airport. It is the only uni-brand store in the terminal to showcase premium merchandise manufactured and produced in India, displayed in a hassle-free ambience appealing to foreign as well as Indian clientele. The offerings at the Delhi Bazaar Craft House are extensive and appealing to all the five senses. The fresh flavors of pure whole leaf and blended assortments, hand plucked from organic tea gardens of Darjeeling and Assam. Ayurveda collection of pure essential oils, home spa, incense. Intriguing handicrafts and souvenirs from across the country. The richness of colours, weaves and apparel is presented through hand woven and embroidered Pashmina, Silk, Cotton. Silver and gold jewellery is available in ethnic and contemporary designs using precious and semi precious stones. Elegant weaves: Chashme Bul Bul, Twill, Harringbone, Bamboo, Tartan checks, Paisley and other jacquard weaves. Colours: Yarn Dyed woven reversible colour, Ombrey shaded and solid dyed one colour. Embellishment: With genuine swarovski crystals, suede, leather and fine embroidery like Kaani Jamawar, chain stitch, shadow stitch, etc. Composition 70% Pashmina 30% Silk, 80% Pashmina, 20% Silk, 100% Pure Pashmina, Pure Wool, Silk Wool, etc. Silk Micron Prints, Digital Prints, Screen prints, block prints hand painted etc. Our product range comprises of various sizes of Mufflers, Stoles, Wraps, Shawls, Blankets, Baby Blanket set, Sweaters/Cardigans, Tops/Dresses, caps, gloves and more. The range has been developed to be used by both men and women for all occasions and seasons. Delicious gourmet specialty food like Indian Savories, sweets, spices, tea, coffee are sure to delight the travel passenger at the airport. Indian beverage collection includes 100% pure organic tea from the most famous garden in Darjeeling, Assam and Nilgiri. Pure Tea is available in convenient attractive packaging from 25gms to 150gms. We do a great selection of tea gifts, which comes beautifully packaged and well wrapped in handmade paper boxes, embroidered bags, aluminium caddy and wooden chestlets. To name a few Silver Tips, Golden Tips, Darjeeling Long Leaf Tea, Spring Tea, Masala Chai and many more. Tea is available in Whole leaf, CTC, Biodegradable Pyramid bag, Biodegradable Round tea bag, Biodegradable Flat tea bags. Spice and Fruit Flavour tea are also available. Gourmet Indian Coffee - The finest natural shade grown Arabica and peaberry coffee is also available in attractive packaging. Craft House offers exotic varieties of curry powder, developed by our master chefs. Products include Mild, Hot, Tandoori Curry powder among others. Indian Sweets, snacks and savories are favorites with people across the world. They make for ideal gift items as a taste of India. We will offer an abundant array of Indian sweets like Soan Papri, Gulab Jamun, Rasgulla, Laddoo, Halwa, special gourmet sweets made form Dry fruits. Savories like Pappadum, Bhujia, Chatpat and many more items. Special gourmet treats like like Saffron, Honey, Cashew Nut Raisins.Black pepper, Cinnamon, Cumin etc. Honey, Cookies and chocolates, Salted/Plain dry fruits, Snacks and Savories will be easy to carry and available in attractive gift packs. All perishable food items have manufacturing and expiry dates printed on them with appropriate food grade packaging. Inspired by Ayurveda the spa collection uses essential oils and is without Paraben. The most natural way to rejuvenate and relax mind and body. Our products provide for relief from stress, uplifting of moods, caring of skin and body, rejoicing at memorable moments and transcending mind. The collection is available in attractive gift sets and personal use packaging. Face, Body and Hair Care Products using pure essential oils like sandalwood, lavender, rose, jasmine, cedarwood, orange, cinnamon, jojoba, grapessed etc. An extensive collection in Aroma Oils / Pure essential Oils for face and body, bath, potpourri, Aroma Lamps. Non polluting collection in Incense sticks, cones, candles, garden incense, Aroma Lamps. Wood carvings: The wooden artifacts are available in a variety of designs and sizes in Sandalwood natural fragrant wood from India, Rosewood, Ebony, Cedar wood, Teak, Soft stone, Marble, Sheesham with brass inlay, Walnut, Pine, Ankudu, Mango wood and more. Porcelain and Silver enamel Artifacts: Variety in handcrafted and painted porcelain and porcelain covered with 98% pure silver leaf and painted with glass/stone enamel. Some popular items are Elephant incense holders, candles, chimes, table accessories, peacock, Ganesha and other decorative items. Leather Goods: elegantly handcrafted gifts to meet the customer's choice and requirement. This category includes wallet, purses, Handbags and Backpacks, Portfolio and laptop bags, Travel bags, Gift Accessories - Money Banks, Key Chains, Passport Case, Document Case, Mobile Case bookmarks. Home-Furnishings The home furnishing collection offers a splendid range of bedspreads, quilts, curtains, rugs, durries, carpets, tapestries, placemats, cushion covers, throws, table covers, wall hangings, lampshades, bells, kitchen accessories, flower pots, flower vases, tea cozies, photo frames, candle stands etc. Other Artifacts Paper Craft: variety of handmade papers for creating decorative items like greeting cards, diaries, notepads, wallhanging, carry bags, gift boxes etc. Paper Mache : Decorative items of paper-mache in bright and ethnic colours. Some of the popular products are dolls, masks, boxes, plates etc. Gemstone : items like jewellery boxes, figurines of birds and animals out of gemstones. Paintings and prints : We offer the Madhubani paintings, Miniature Paintings. Scarves/Wraps trendy garment accessories that are widely popular among men and women of all age group. Available in Silk, Georgette, Crepe, Cotton, Jute, Linen - using colour threads "Tanchoi" and the Jamdani, Kantha, Madhubani and more. 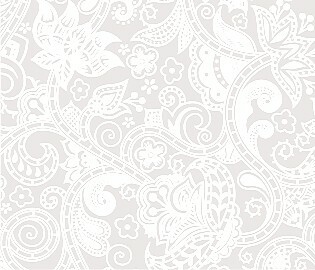 available in patterns like floral, geometric, paisleys, tie-dye, intricate embroidery block/ screen printed, crystallized. Neckties: The collection includes neckties made in premium silk with jacquard / woven, printed patterns and designs. There is also a wide variety in Pocket Square, necktie sets with matching neckties and Pocket Square and men's scarf. Apparel /Clothing /Accessories selection of fashion apparel in fabrics like silk, cotton, georgette, linen, wool and many more. The collection is available in a spectrum of colours and designs. Merchandise includes Shirts, T Shirts, Shirt set (shirt with scarf), Tops, Dresses, Sarongs etc. A trendy collection of accessories is available in bright attractive colours and varied materials. Hats, caps, belts, hairbands/ hairstings, wallets, bags, slip-ons. The collection in Indian handmade bags and Mojari(Footwear) is available in rainbow of colours, patterns and designs. The bags are embellished with exotic thread embroidery, sequins, glass beads, mirrors, gems and crystals using high quality fabrics like pure silk, raw silk, cotton silk, cotton, satin, tissue, organza, leather etc. Our jewellery collection is creative one, an outcome of interesting mix of different metal and stones. We have struck a perfect balance between tradition and modernity through our range of studded silver and diamond jewellery. Adhering to international standards of quality, purity of metal and ingenuity of stones is guaranteed. Craft House stocks jewellery for men, women and children and to suite styles and tastes of people from across the globe. The Jewellery collection will include Neckchains, Rings, Pendents, Earrings, Bracelets, Necklace sets, Broaches, Anklets, Armlets, Nosepins, Toerings, Bangles, Phone/bag charms, Cufflinks and Tie pins. The collection also includes precious and semi-precious stones. 92.5% Pure Silver Jewellery collection is uniquely designed and handcrafted using best quality fine gem stones both precious and semi-precious Ruby, Emerald, Sapphire, Topaz, Tourmaline, Mercacite, Amethyst, Blue Topaz, Garnet, Iolite, Peridot, Rose Quartz, Moonstone, Black-onyx, Turquoise etc. Fashionable and trendy jewellery made from ceramic beeds, wood, metal, glass, silk and cotton threads.